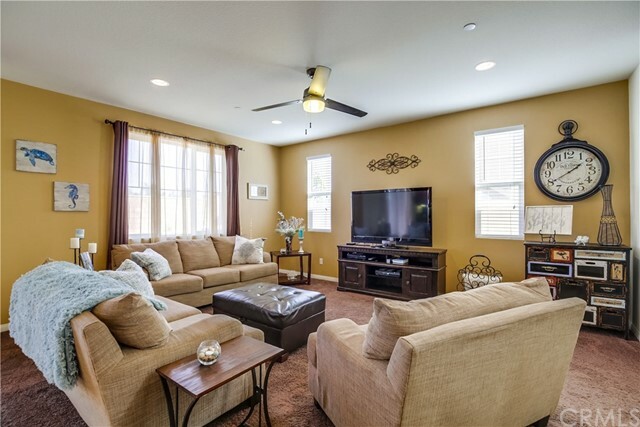 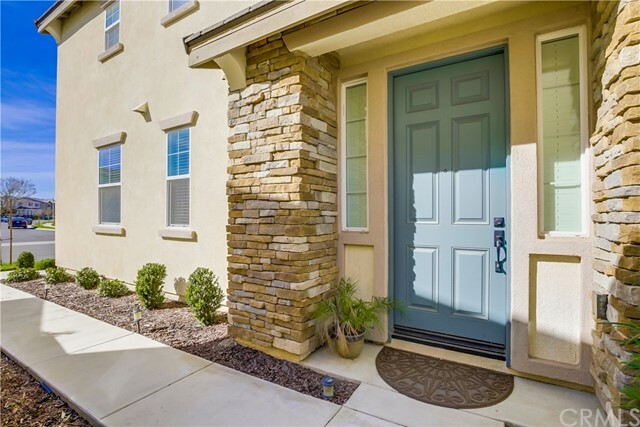 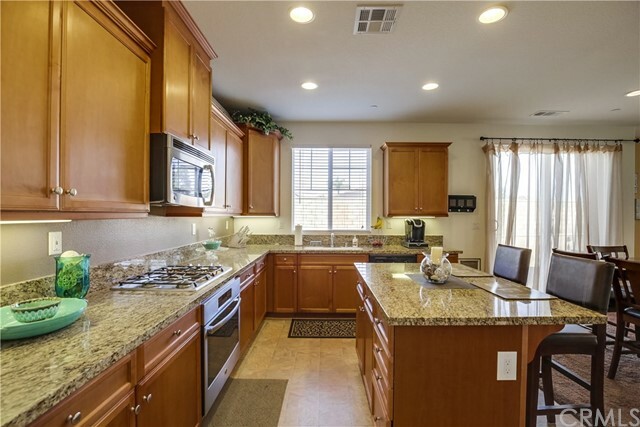 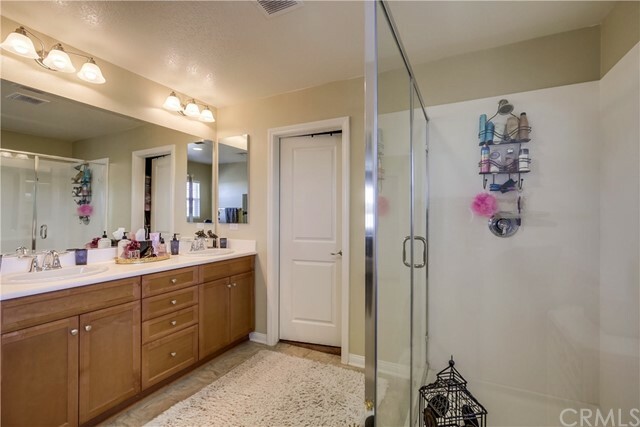 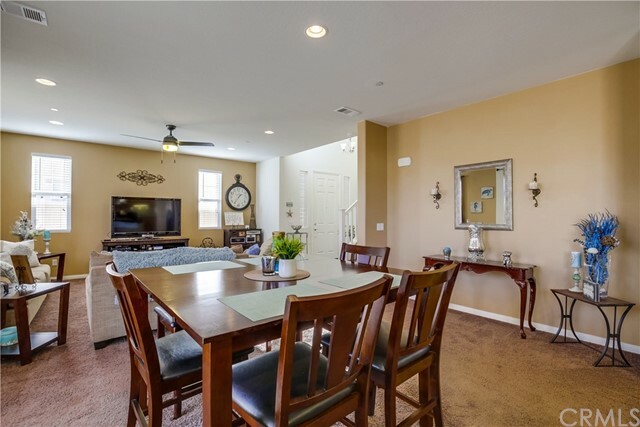 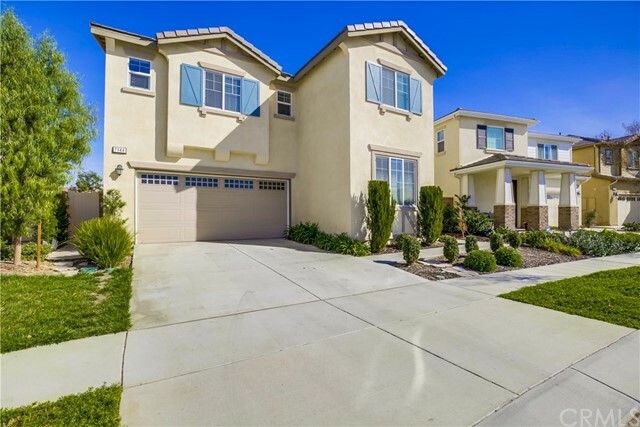 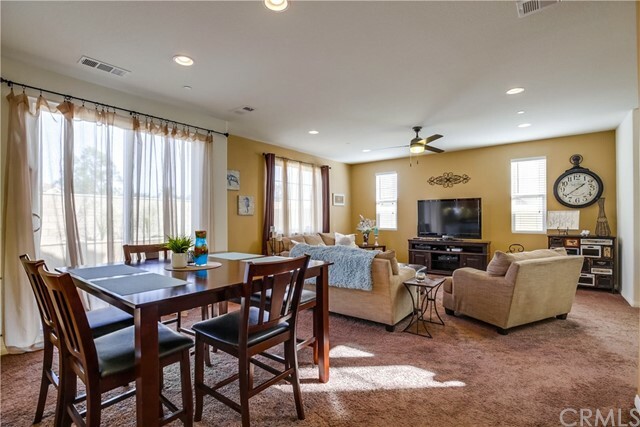 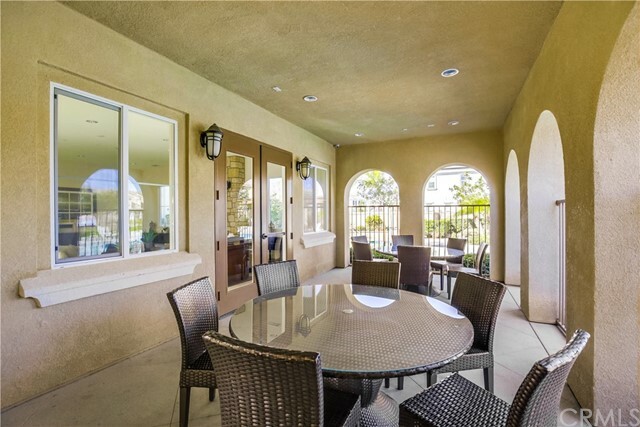 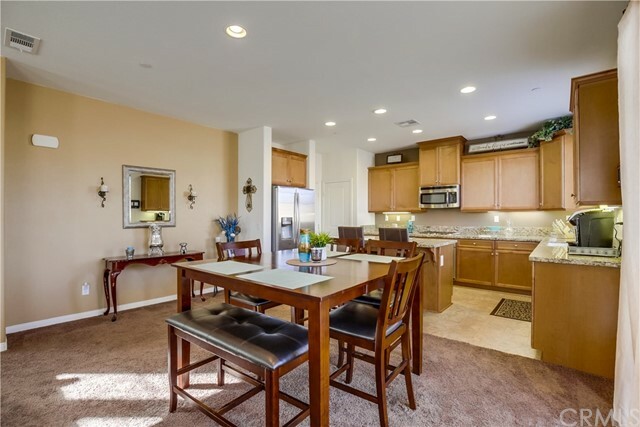 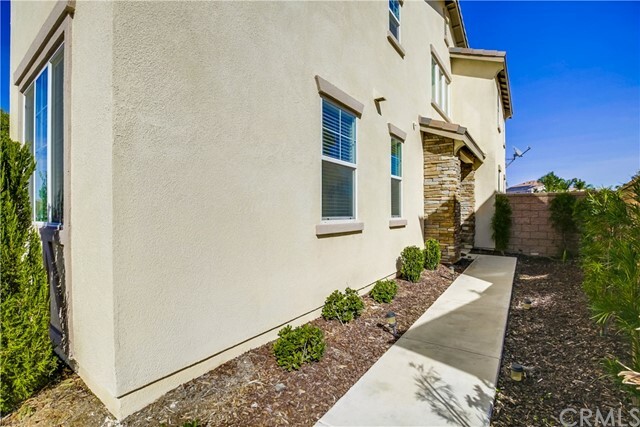 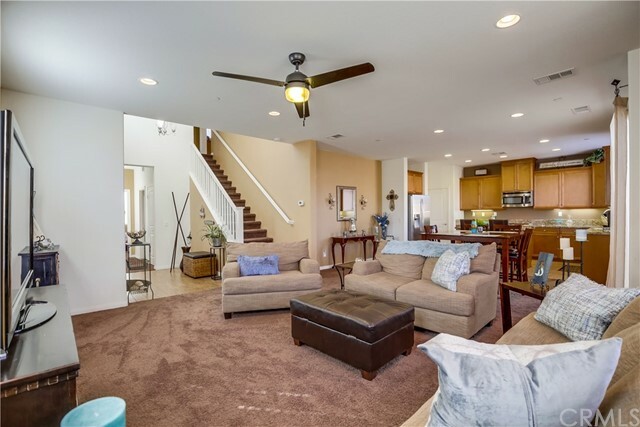 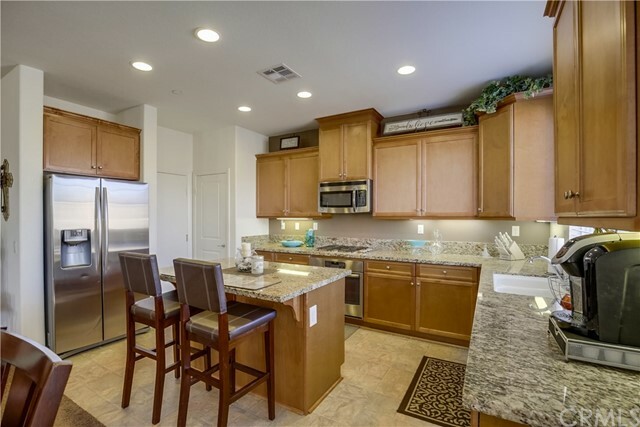 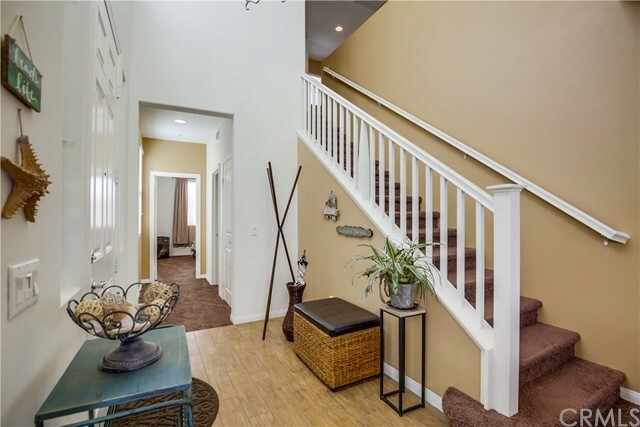 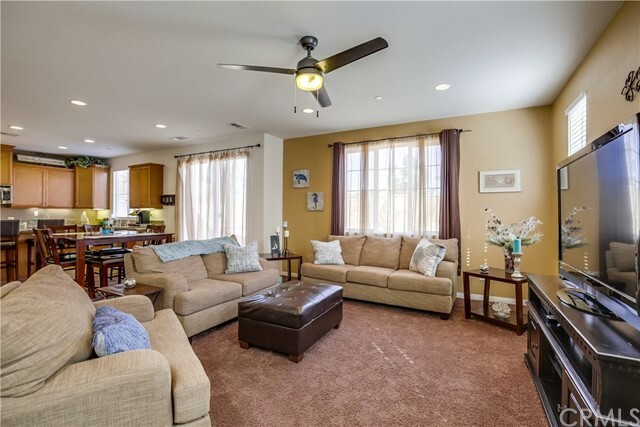 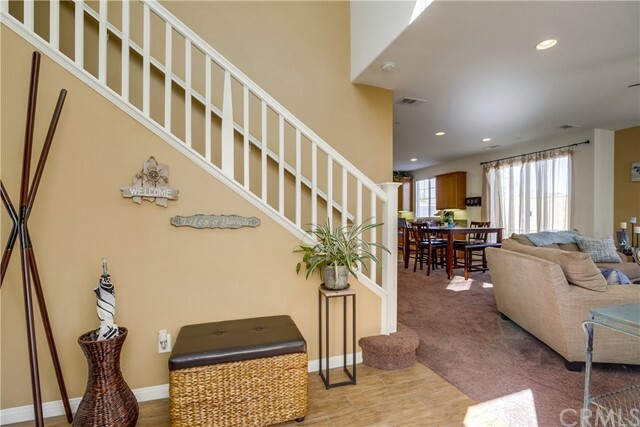 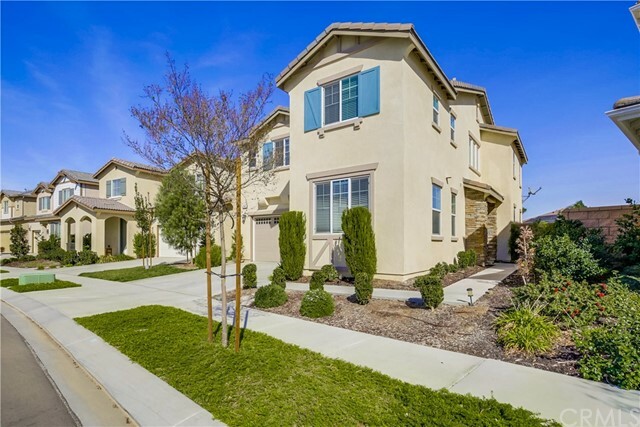 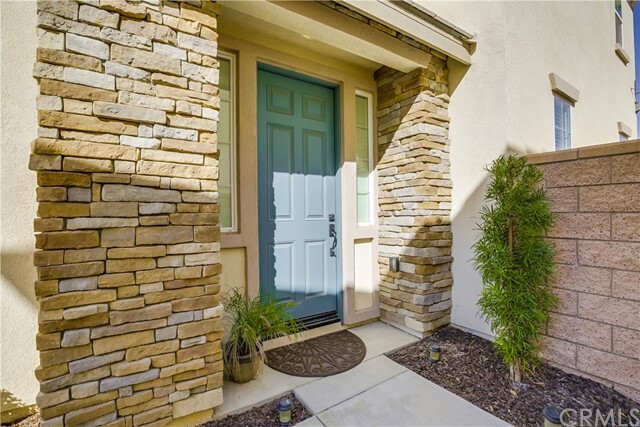 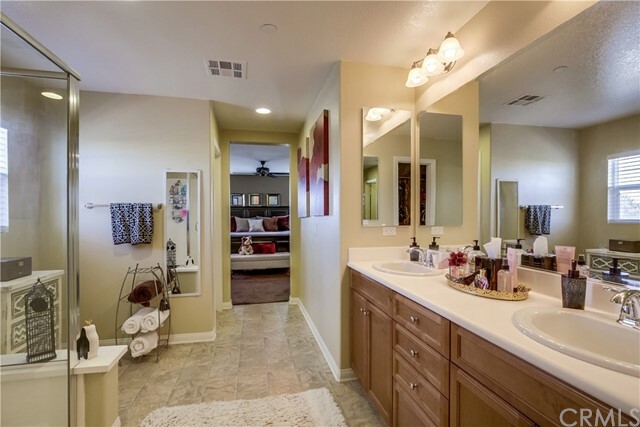 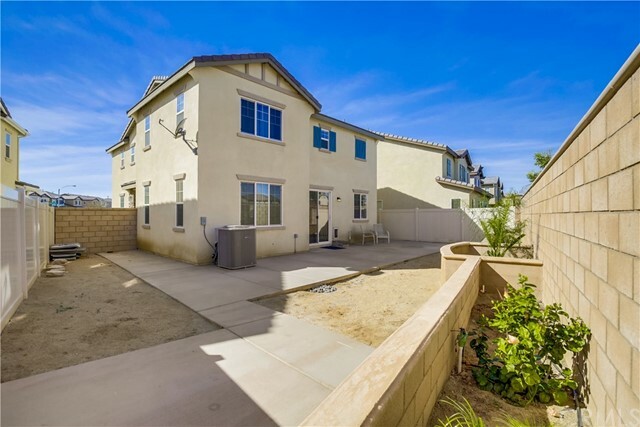 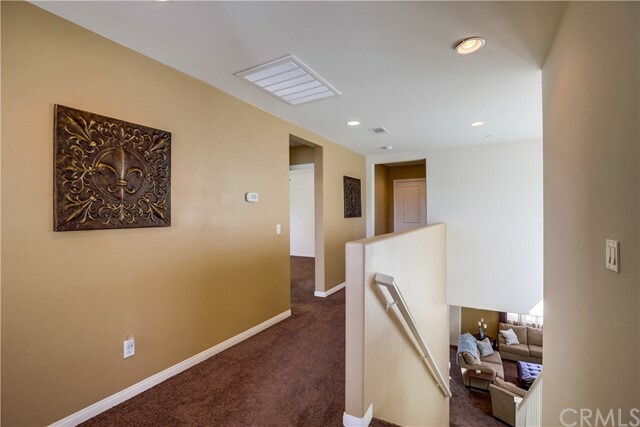 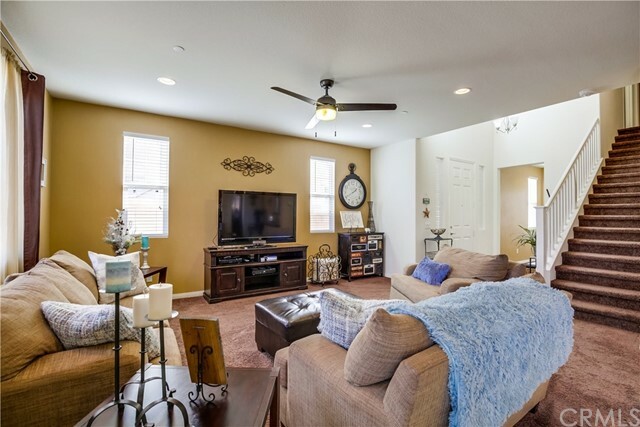 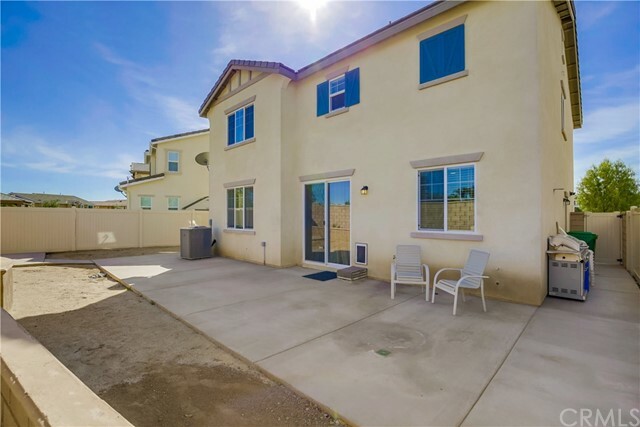 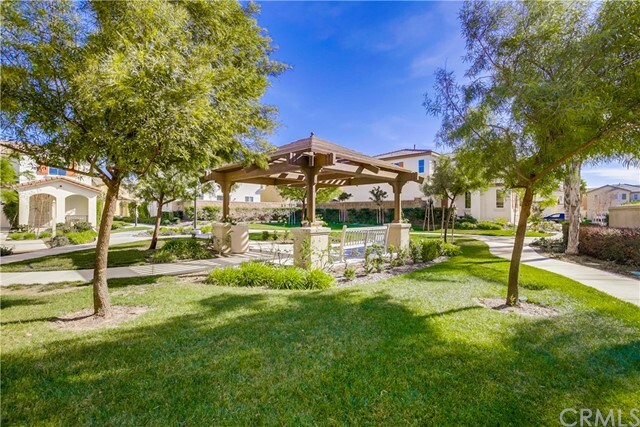 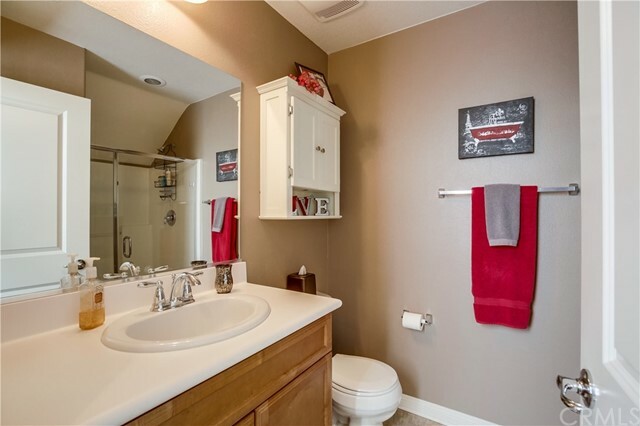 In the highly desirable area of Eastvale within the Community of Luna at Copper Sky. 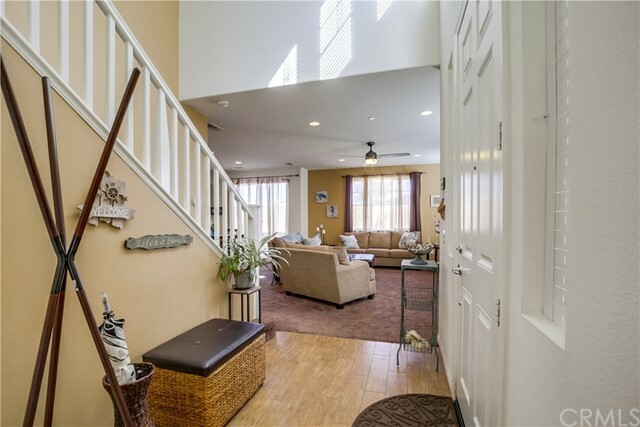 This lovely home has been well maintained by original owner and boasts of five spacious bedrooms and three bathrooms. 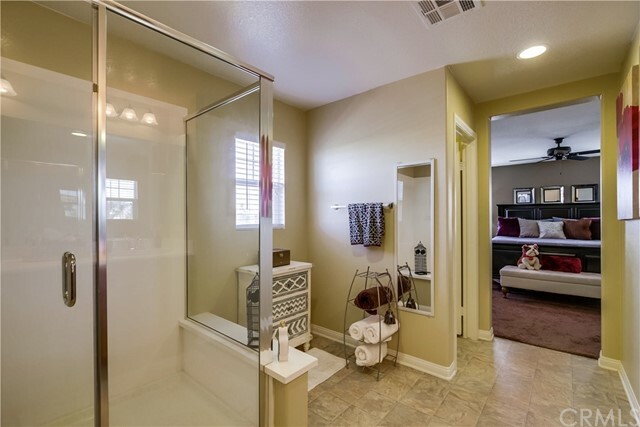 Home has a main floor bedroom and bathroom with step in shower. 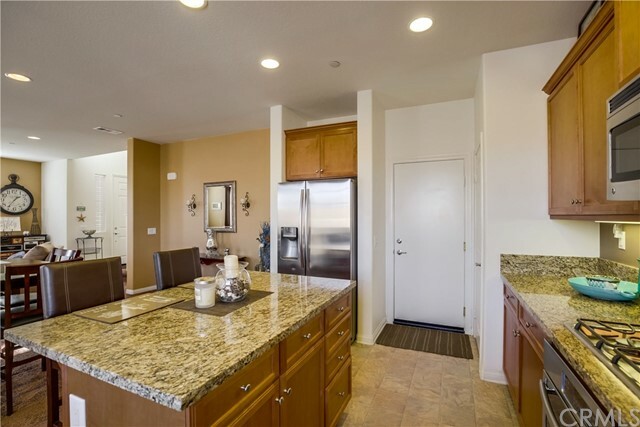 Open floor plan makes it great to entertain and still be part of the group while in the kitchen. 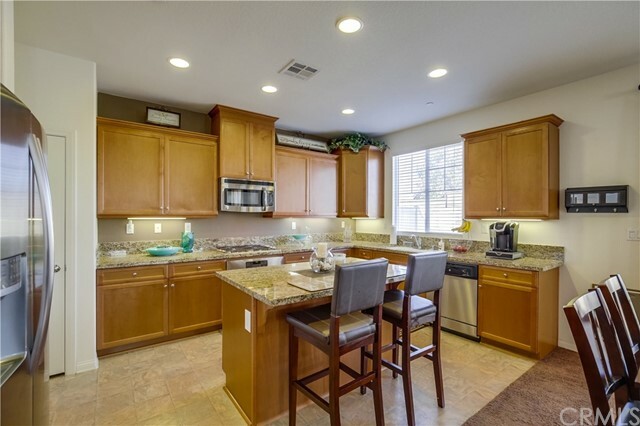 Open kitchen with mocha finish cabinets with center island with seating, granite counters, built-in cook top, large built-in oven, built-in microwave, and built-in dishwasher all GE stainless steal and black finish will please any chef in the family. 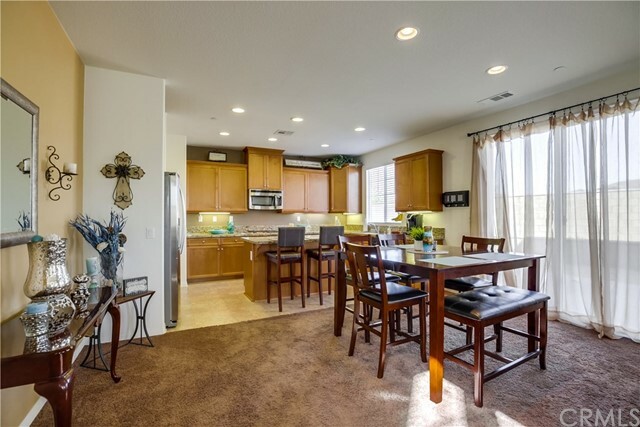 Large open area for dining table of almost any size. 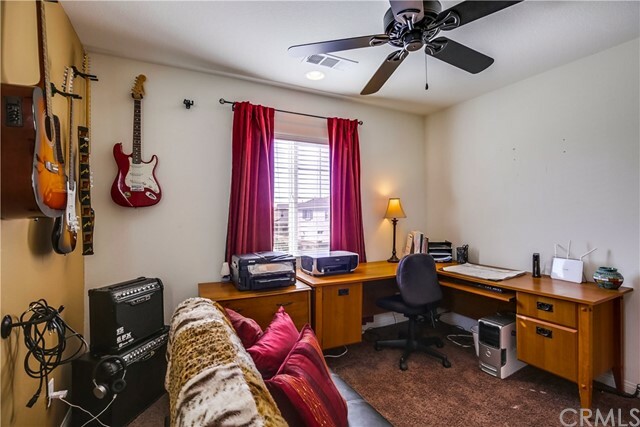 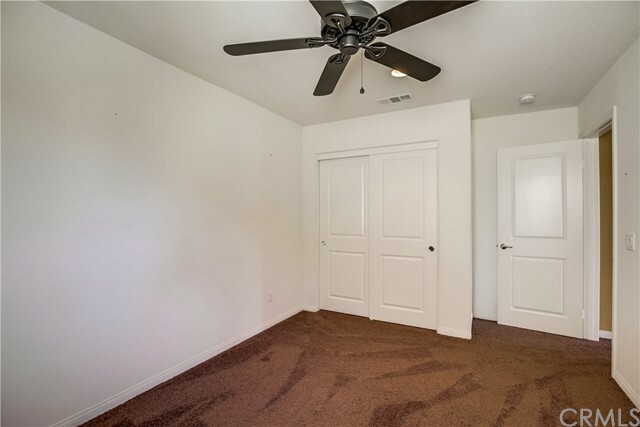 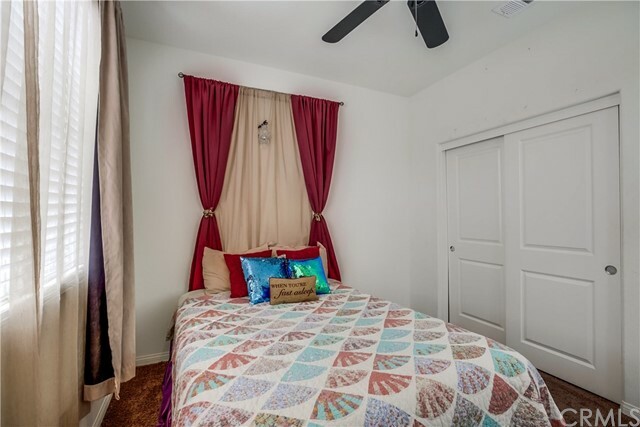 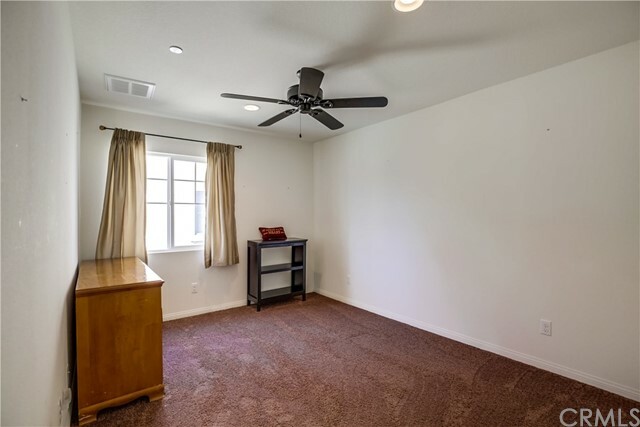 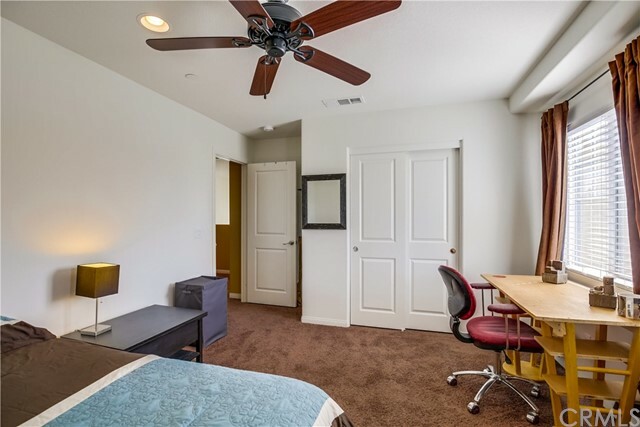 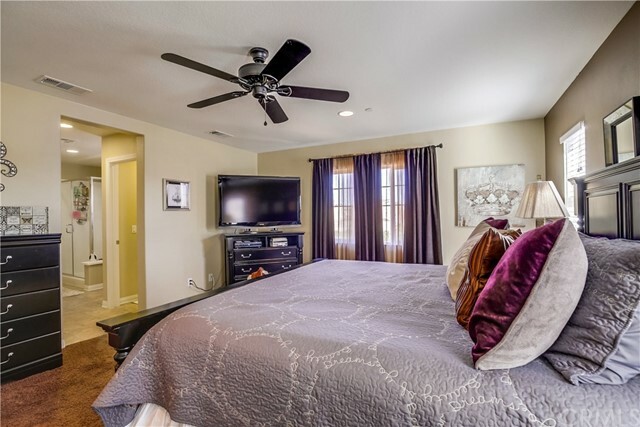 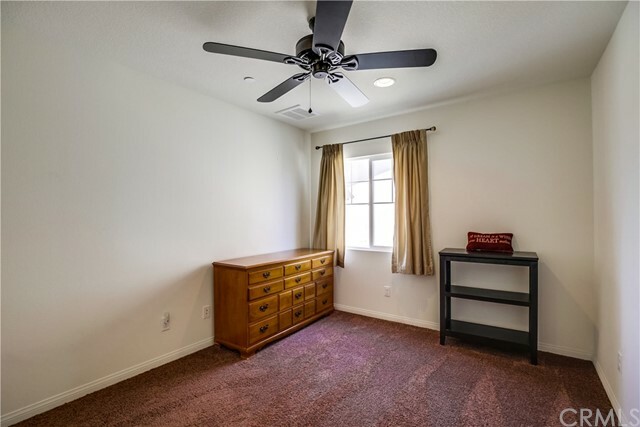 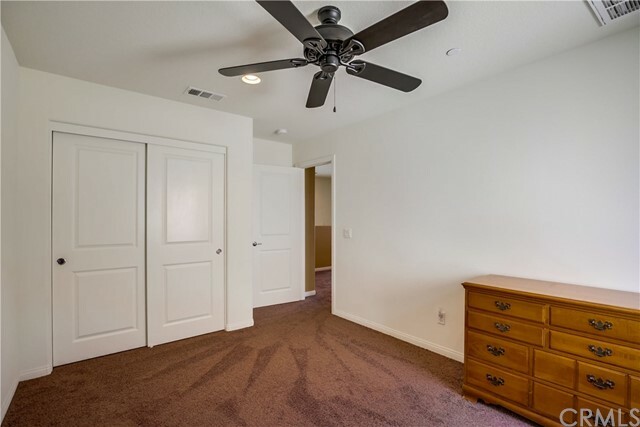 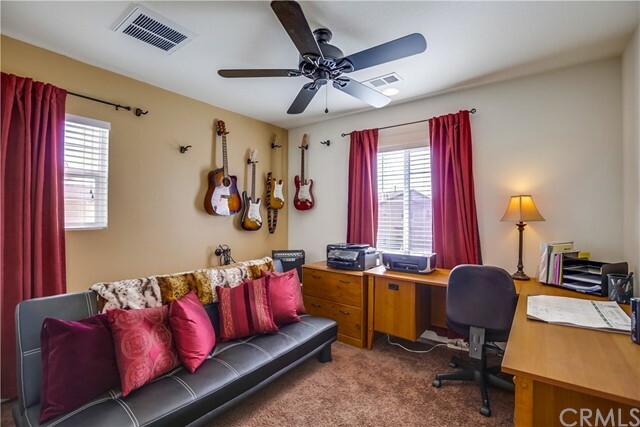 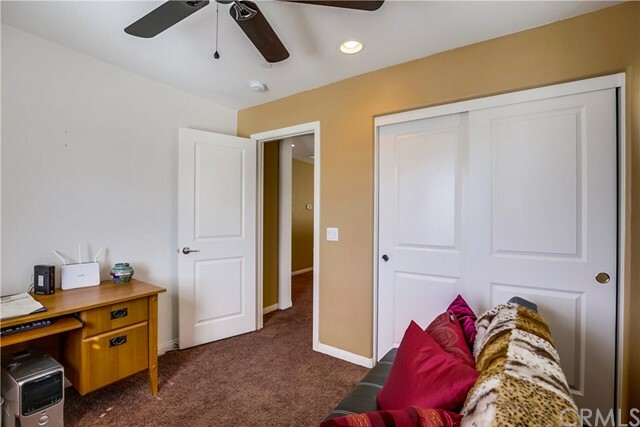 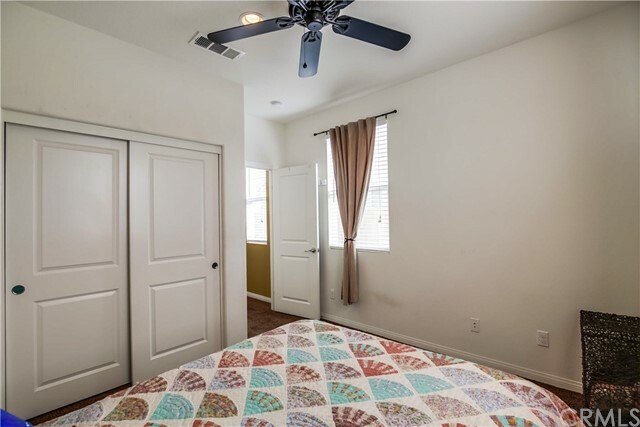 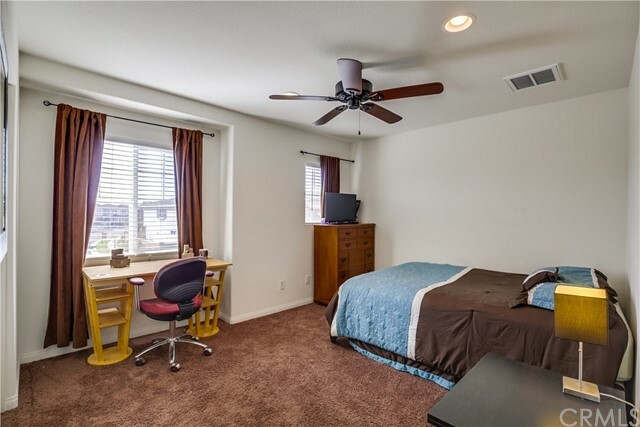 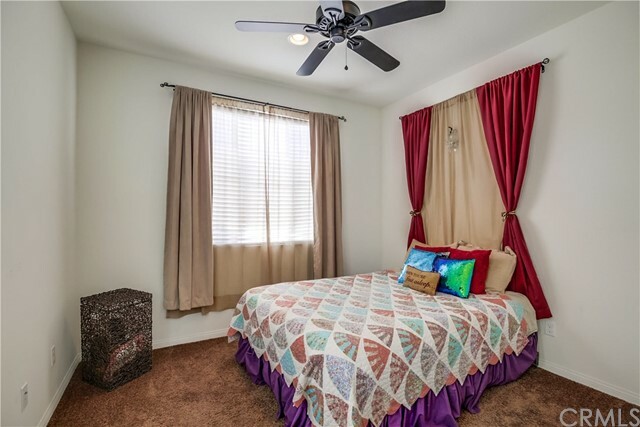 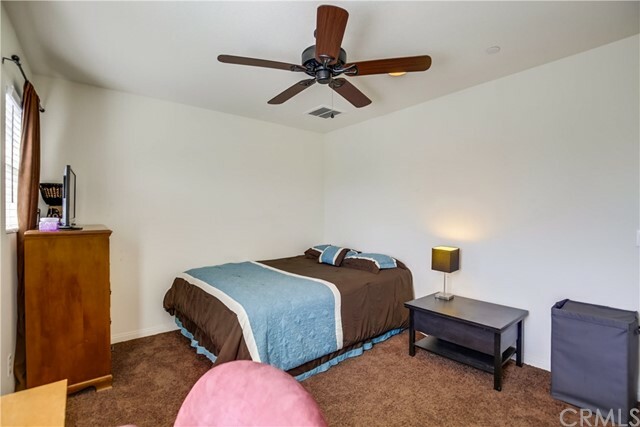 Ceiling fans in living room, and in all bedrooms. 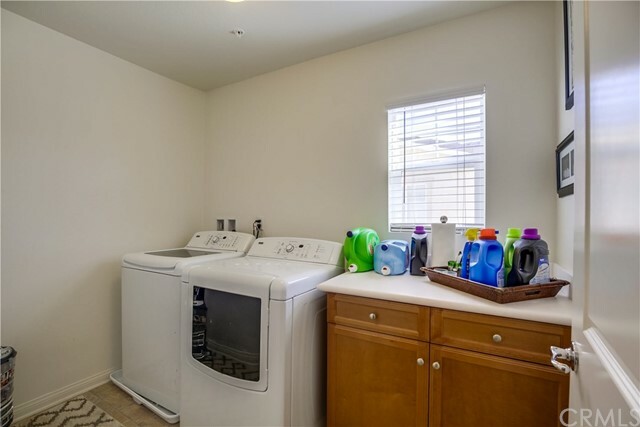 Energy efficient home. 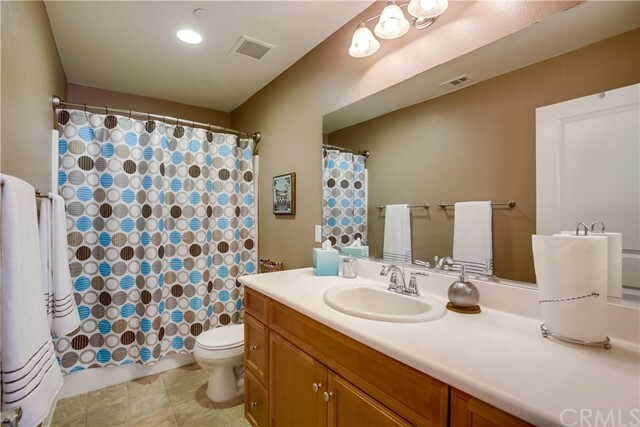 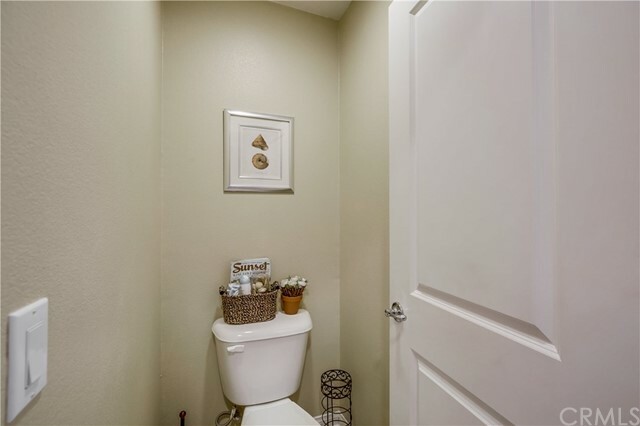 Second floor has a spacious hallway bathroom with tub/shower combo and there are three additional well sized bedrooms. 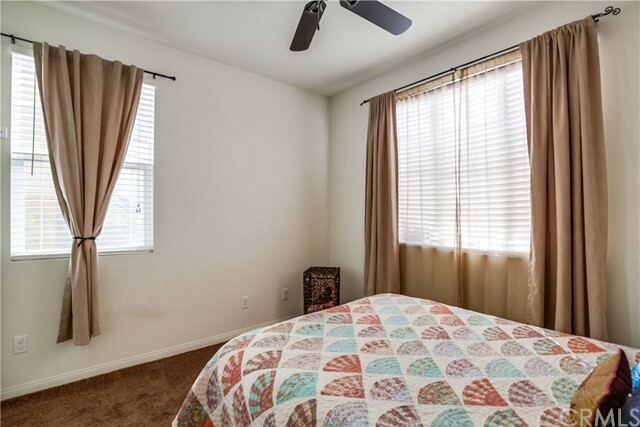 Master bedroom has several windows for natural light and an on-suite with a spacious bathroom and over sized step in shower. 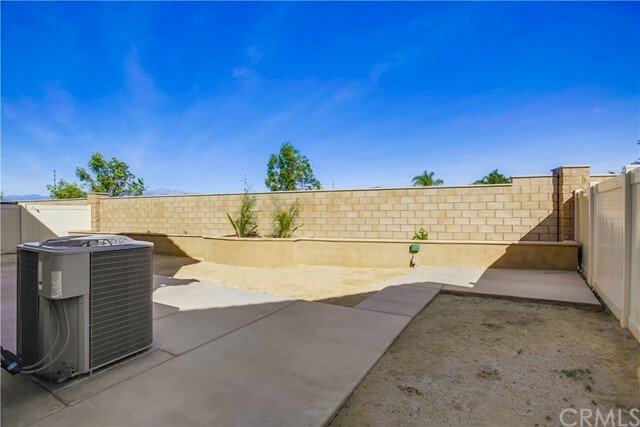 Owner put over $9,000 in backyard improvements. 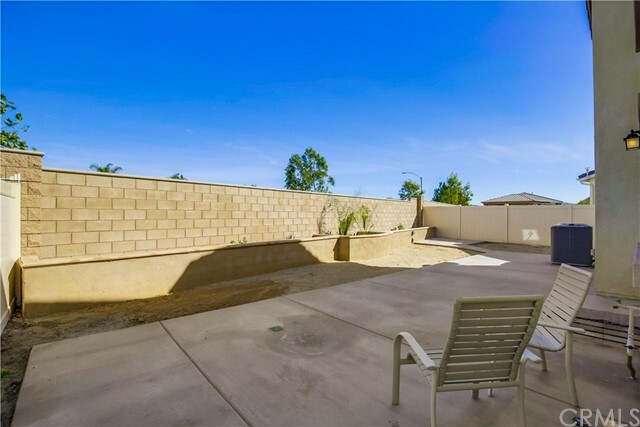 Back yard is larger than most of the back yards in Copper Sky. 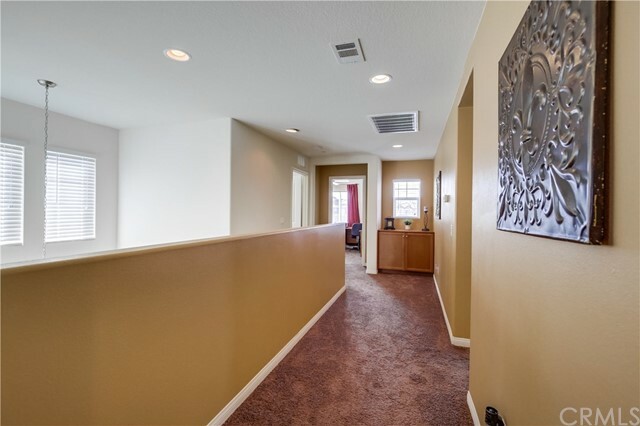 Property has a deeper driveway - larger than other properties. 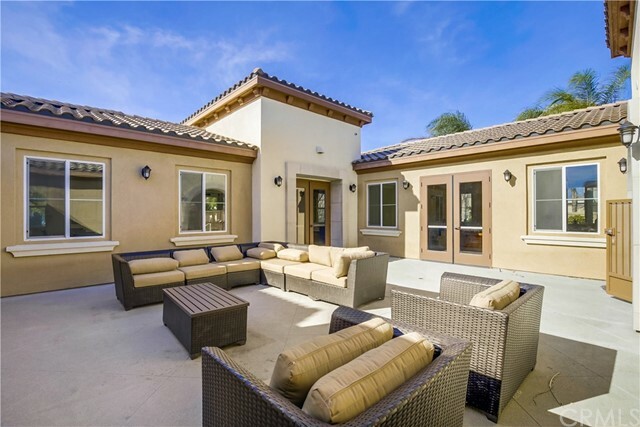 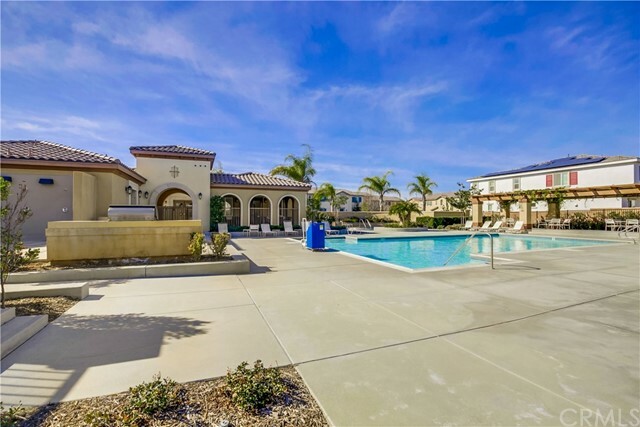 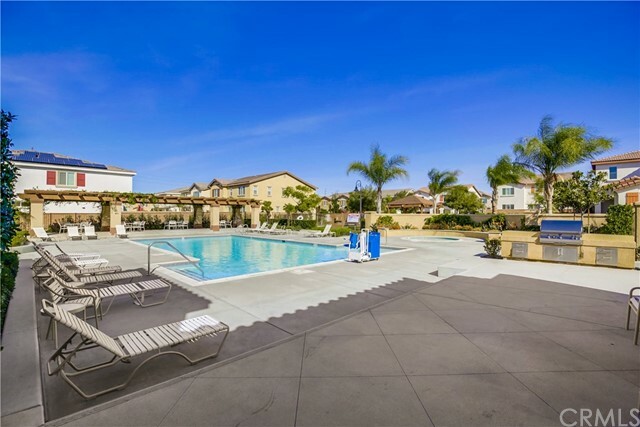 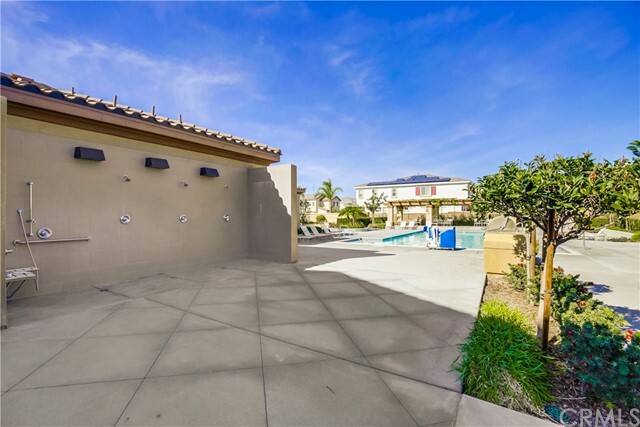 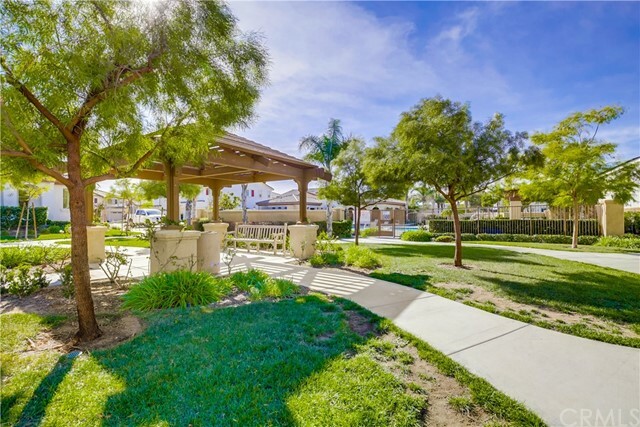 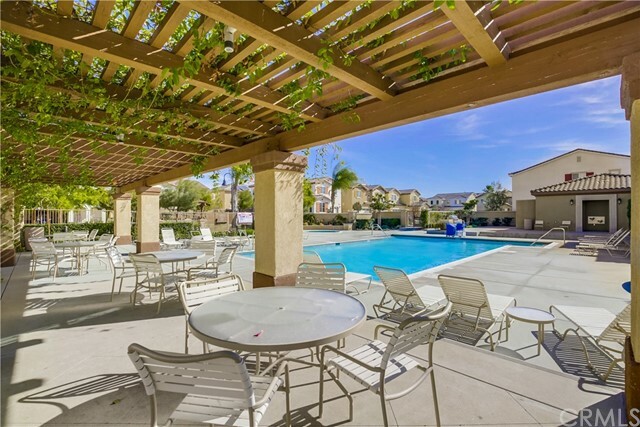 Enjoy our Southern California weather outdoors with everything this community has to offer: huge swimming pool, spa, kiddie pool, BBQ area, park and community room and outdoor fireplace. 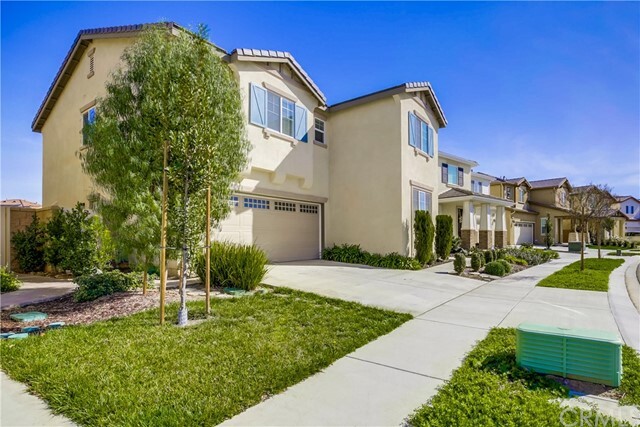 Elementary, Intermediate, and High Schools are all walking distance!